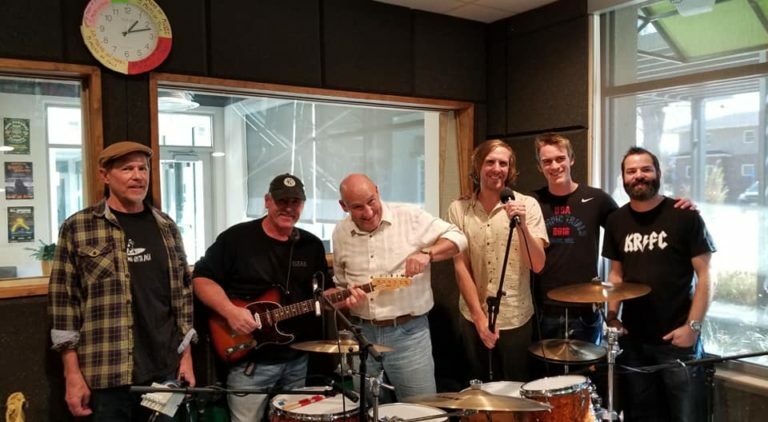 There are a number of programs on Fort Collins radio stations that have helped to shape the Northern Colorado music and radio scenes, but none of these compare to KRFC 88.9 FM Radio Fort Collins’ flagship program, [email protected]. Featuring local and national artists of all genres performing live and unedited, [email protected] is part concert and part heavy-hitting interview show. It’s on every Friday from 12 – 1 pm, and always features an array of interesting guests! The best part is that the show is open to the public in the KRFC 88.9 FM Radio Fort Collins studios, located at The Music District. Dream Feed – A modern high-energy rock band featuring the vocals of Miguel Dakota, a Season 9 finalist on America’s Got Talent. They totally rocked our studio. Cass Clayton Band – With combined influences of blues, funk, jazz, gospel, and rock, their sound is unlike any other. Their new CD, released in June 2018, is a rocking new-school soul album with a lot of inventive sounds and unexpected twists! The Monday Night Band – This band has been performing along the Colorado Front Range since 2014. With musical influences of jazz, fusion, blues, soul, rhythm and blues, funk, prog rock, Americana, country and western, and even a little salsa, their music is innovative and unique—a real musical treat. Stilted – Straight out of Fort Collins, CO, Stilted has driving drums. Thumping bass. Howling guitar. Rock and roll? They’re taking it back. If you would like to take a listen to our next [email protected], KRFC 88.9 FM Radio Fort Collins broadcasts on 88.9 on your FM dial. [email protected] currently airs live on Fridays at noon MST. Our signal can be heard in Fort Collins and Loveland, and portions of Greeley, Longmont, and other Front Range towns and cities. You can also stream us anytime, anywhere via your computer, smartphone, desktop app, or home assistant. Just click here for more information. You’re definitely going to love the varied and creative sounds of [email protected] pumping through your speakers too. Check it out for yourself and let us know what you think!